Prairie Boy Bread is the latest venture of Grant MacPherson. 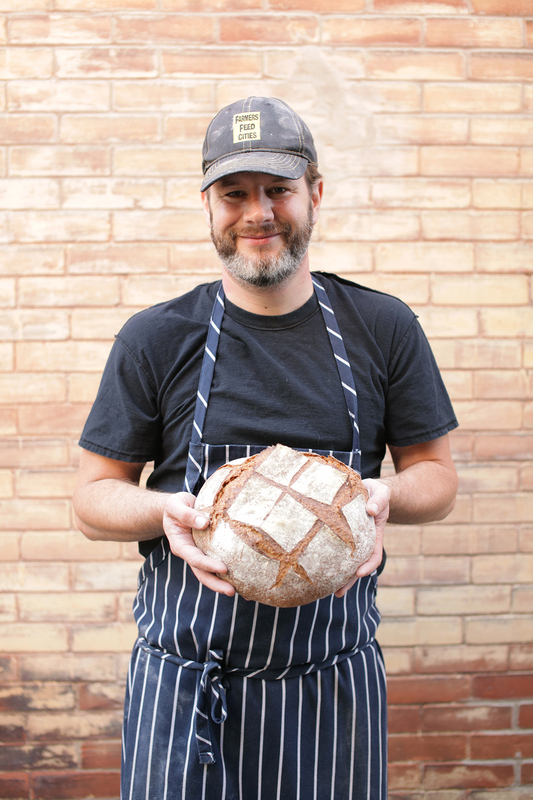 Since 2010, Grant has been committed to growing high quality, organic vegetables and now he is taking that same ethos and making some of the best bread available in Toronto. More than that, Grant continues to grow and contribute to a community of people dedicated to the art of eating well. Prairie Boy Bread uses only organic flour and grains, sea salt, water and a natural sourdough culture. The sourdough culture is a symbiotic culture of wild yeast and Lactobacillus bacteria. It makes the bread rise, adds that delicious distinctive flavor and improves digestibility. We mix our bread with high levels of water and let it rest for 18 hours. This allows the bacteria time to break down the gluten and bring out the best flavours possible. 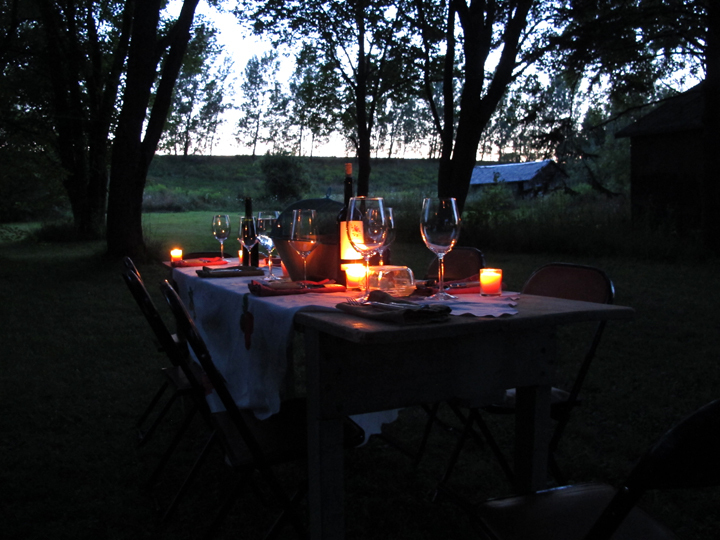 Prairie Boy Bread aims to reconnect people with agriculture, food, quality, cooking, gathering, sharing, pleasure, and knowledge. I like the way you present a learning sharing opportunity for communal and imformative growth and kindling. Hope to partisipate. Yours is among the best bread I’ve ever eaten. Delicious and satisfying, with a great mouth-feel. I make sure to use every crumb. We absolutely love your bread! The Winnipeg Rye to be specific. Who would think bread could be reinvented, healthy and delish. Keep it up! I’d love some fresh pita. You can’t get it anywhere downtown. that is something we can look into Liat. right now we are pretty busy just making our regular breads and experimenting with new recipes but thanks for the idea and i will pass it on to grant and steph. I bought your double fermented multigrain from Fresh City and I am converted. I honestly don’t pay that much attention to bread because the crap you get in the grocery stores doesn’t have much flavour. Eating your bread is like a treat to me. Can’t wait to try the other breads you make. Thanks for the kind words Denise. We’re so glad you liked the multigrain… We cannot deny its deliciousness lol. It is a very different thing to eat “real bread”. I’m absolutely in love with your bread. It is such a treat to look at, and of course to taste. What’s more, every person I’ve shared it with has echoed my enthusiasm. My only wish is to have it at every bakery in town. Thank you for sharing your gift Grant. The world is a better place because you’re in it ! Hiya, Do you sell your bread in the east end, the Beaches? hi Joan, right now we don’t but there is a company called “Berry Fresh” https://www.berryfreshfruitco.com who has our bread at all of their locations starting very soon. they have a stand in Leaside almost every day i think. check them out. Thank you for going that extra mile for me this Thanksgiving. I got all my pies and everyone agreed they were the best (Apple and Pumpkin) pies they had ever tasted. can i find in hamilton? no sorry hasan. however mama earth organics has our bread as an “add on” to their weekly veggie boxes and they do service the hammer. hope that helps. We definitely do bread classes. Email us at prairieboybread@gmail.com and we can let you know when the next available space is. Where would I be able to buy your incredibly delicious breads in the Niagara region? Being of Eastern European descent great breads are an important part of my heritage. hi Eryna, sadly we do not. we are a toronto bakery and we keep things pretty local. there are a few great bakeries out in that direction that would save you a trip into toronto. check out Dear Grain, Polestar, Elora, to name a few…sorry we can’t be more help. hope to see you in the shop soon. Do you have any workshops scheduled? I would love to be in one of your sourdough tutorials.